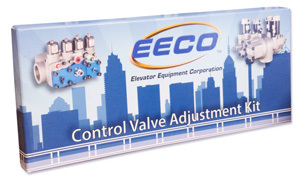 EECO provides several valve training aids to assist you in choosing the correct control valve as well as adjusting and maintaining your control valve to assure the proper functioning of your elevator. 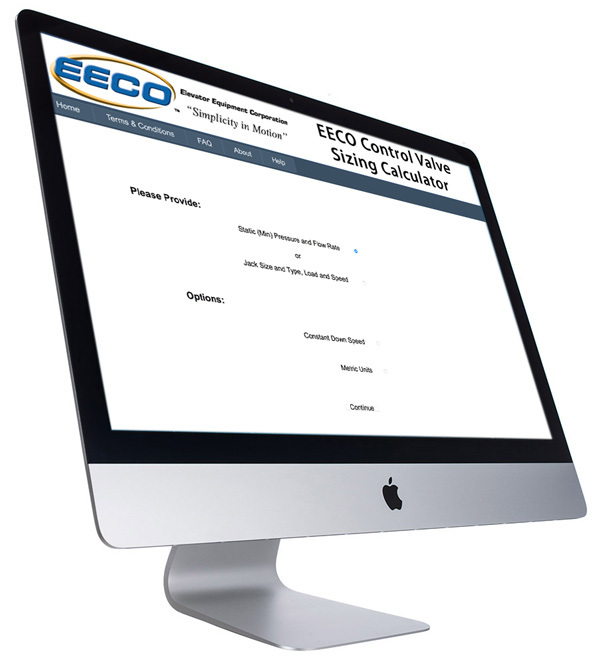 EECO developed this website to provide an easy-to-use means of obtaining engineering information for your application and selecting the proper EECO Control Valve. This versatile calculator can be used for all types of hydraulic elevator systems and will allow the user to order the selected control valve along with available accessories. Our application was developed to provide an easy-to-use means of obtaining and verifying engineering information for your application, checking the proper control valve size, adjusting procedures, troubleshooting, and more! 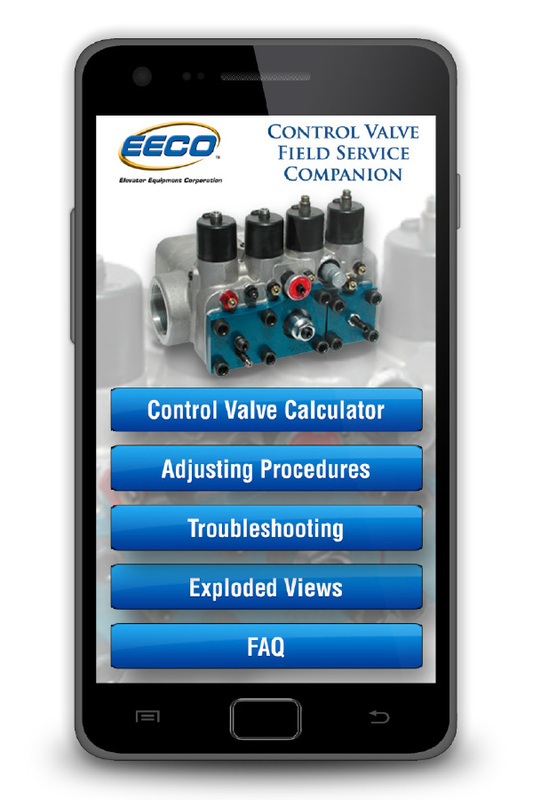 This robust application will provide all the information a field mechanic requires at the job site to efficiently service, adjust, and maintain EECO Control Valves. EECO created this animation to demonstrate the different functions of the EECO UV-5AT Hydraulic Control Valve. You can watch as the animation moves through all of the stages of valve operation or click on one to view it. 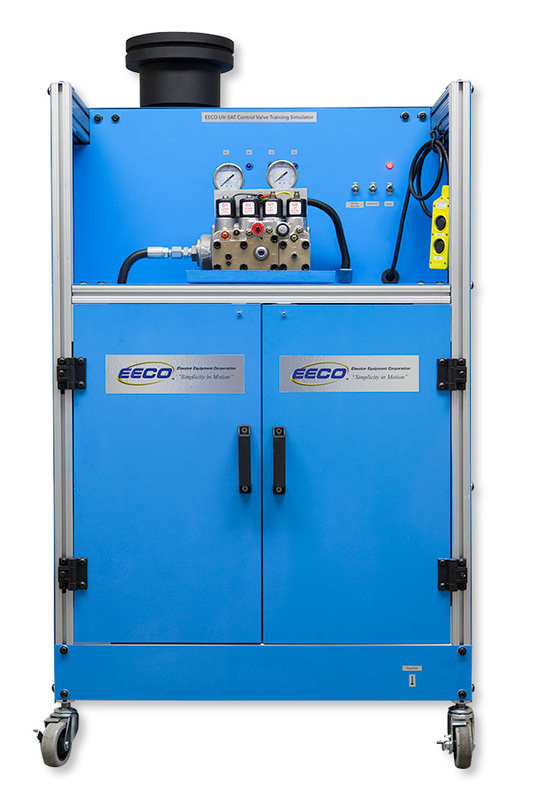 The EECO UV-5AT Valve Training Simulator is ideal for training Construction, Repair, and Service Mechanics. Completely portable, it rolls on castors and fits through standard doors. 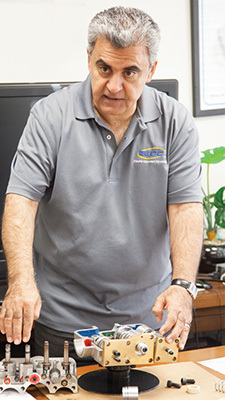 It reacts the same as a normal elevator to provide hands-on training for valve adjustments, repair, or replacement. The UV-5AT valve can be completely disassembled without removing it from the simulator. The simulator is available for loan on a temporary basis and is available for purchase. EECO provides Control Valve training on-site or at our headquarters for qualified elevator Service Mechanics and Technicians. 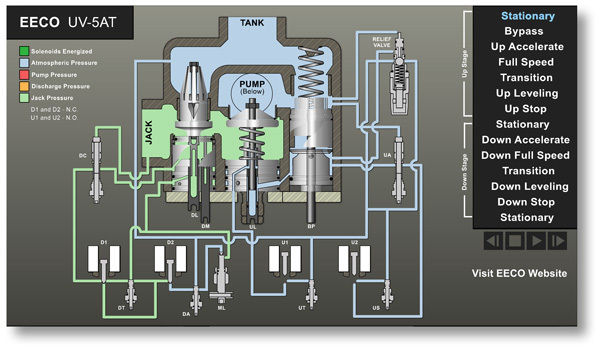 This course is designed to teach the participant to be more familiar with the overall design, operation, adjustment, and troubleshooting of a hydraulic control valve. A certificate of completion is provided for participants who succesfully complete the course.